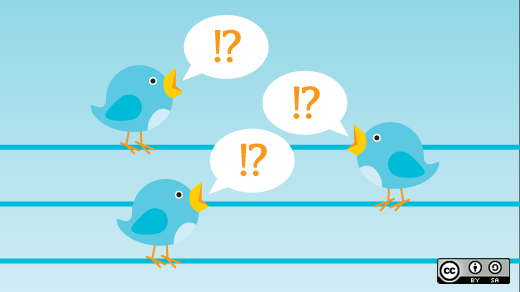 Over the last few months, the Academy for Eating Disorders (AED) has begun a series of Twitter chats, inviting experts to share their views on timely topics in our field. These chats use a common hashtag (#AEDchat) to link tweets together in a virtual conversation. Previous chats have covered eating disorders in men and midlife eating disorders (with Cindy Bulik). Food rules may differ from person to person but can be described as “guidelines surrounding food, its consumption, and one’s behavior towards it.” These rules may help control or manage anxiety around food/eating and provide a measure of success or failure. Food rules can be risky if they are too rigid, disrupt normal eating patterns or social interactions, create risk for nutritional deficiencies, or make it difficult to separate facts from judgment about food/eating. Common food rules among those struggling with eating disorders include avoiding or limiting fats and/or carbohydrates, following a gluten-free or dairy-free diet, eating only organic or non-processed foods, not eating after a certain time of night, needing to exercise before eating, or adhering to a vegetarian or vegan diet. Individuals may be motivated to rigidly follow food rules because of fear, anxiety, loss, stress, misinformation, perfectionism, social pressure, societal norms, and a need for structure and control. Individuals need to acknowledge that they are keeping food rules before they are ready to start challenging, changing, or giving them up. Making a list of food rules and starting to challenge them one-by-one, along with nutrition education in a supportive environment, can be a good place to start. As rules become less rigid, individuals can move toward intuitive, hunger-based eating. It’s important that hunger and fullness cues are “working” and that the individual feels ready, which may come slowly. Potentially “beneficial” food rules include not labeling foods as good or bad (healthy or unhealthy), giving oneself permission to eat, and seeking balance and moderation across all foods and food groups. These rules should not be confused with medically necessary dietary rules or restrictions, such as a gluten-free diet for celiac disease. The Food Rules Measure (FRM) can be used as an informal assessment or as a way to track changes in adherence to food rules over time. A copy of the FRM, as well as the scoring key, can be obtained by contacting Kortney Parman. To learn more, click here to read the paper that launched the discussion and here for a full transcript of the chat.